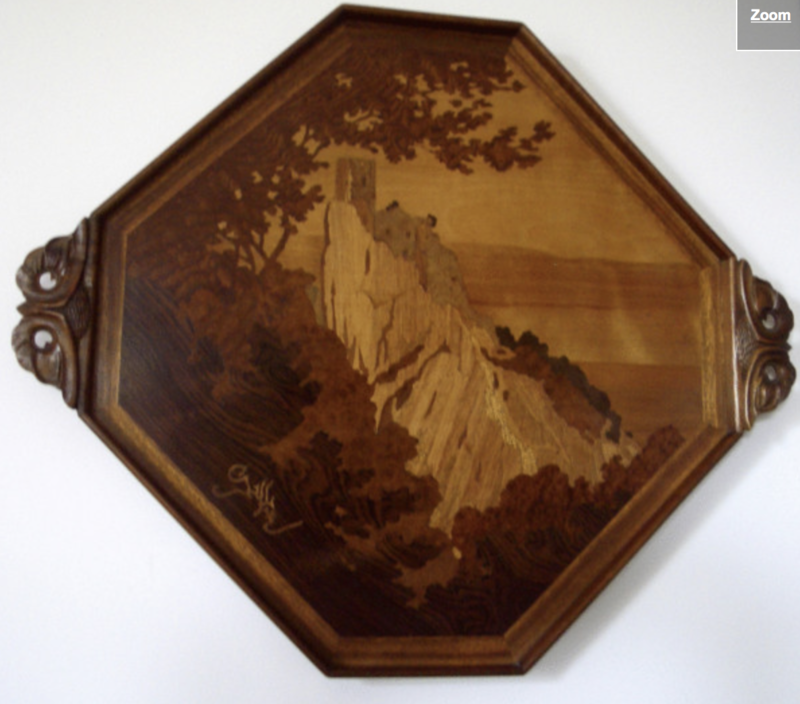 A nice tray made by Galle, in good condition. The handles are owls heads. The owl which is surveying the mountains. There is a castle ruin at the mountain.